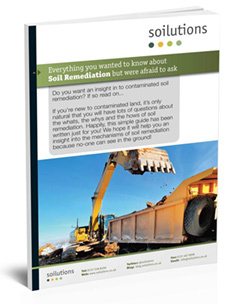 How much does it cost to dispose of hazardous soil? Thanks for the feedback on my post re: cost of soil remediation, it seems however that you want more information on this topic, after all money is the bottom line and anyone who has dabbled in the contaminated land sector will know it can cost you a few pounds to sort out serious issues. Assuming your hazardous soils can be transported and the landfill will take them, start with landfill tax (currently £84.40/tonne as of April 2016), gate prices are generally in the range of £60-150 / tonne, excavation and haulage can vary significantly, of course get in contact for an estimate if you’re interested. Nothing is ever that simple however, some hazardous materials are in such bad condition (forming more of a slurry than a soil for example) that they require pre-treatment before disposal. Generally the actual pre-treatment is simple, the awkward part can be designing the treatment and getting approval from landfill operators and/or regulators.